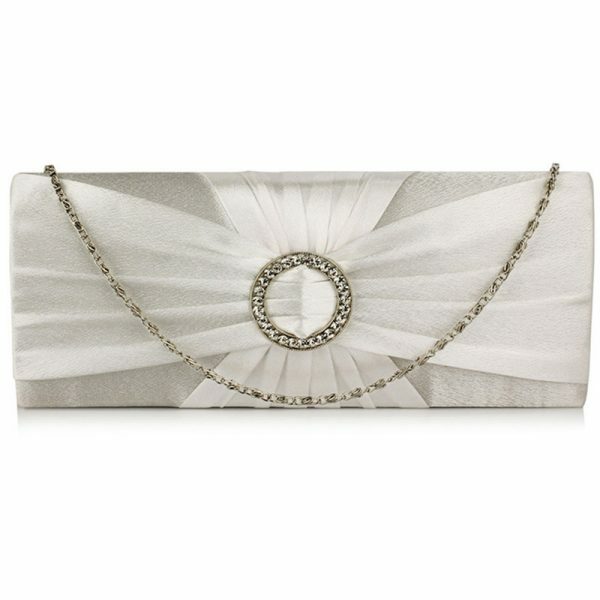 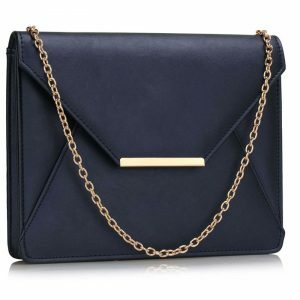 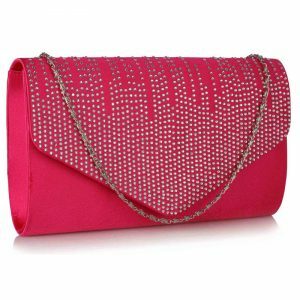 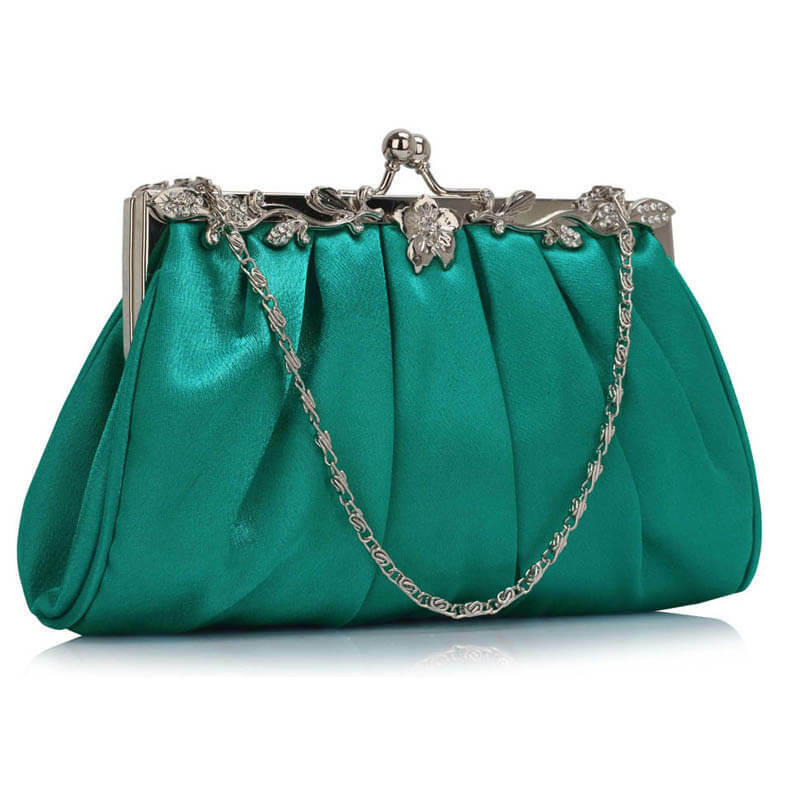 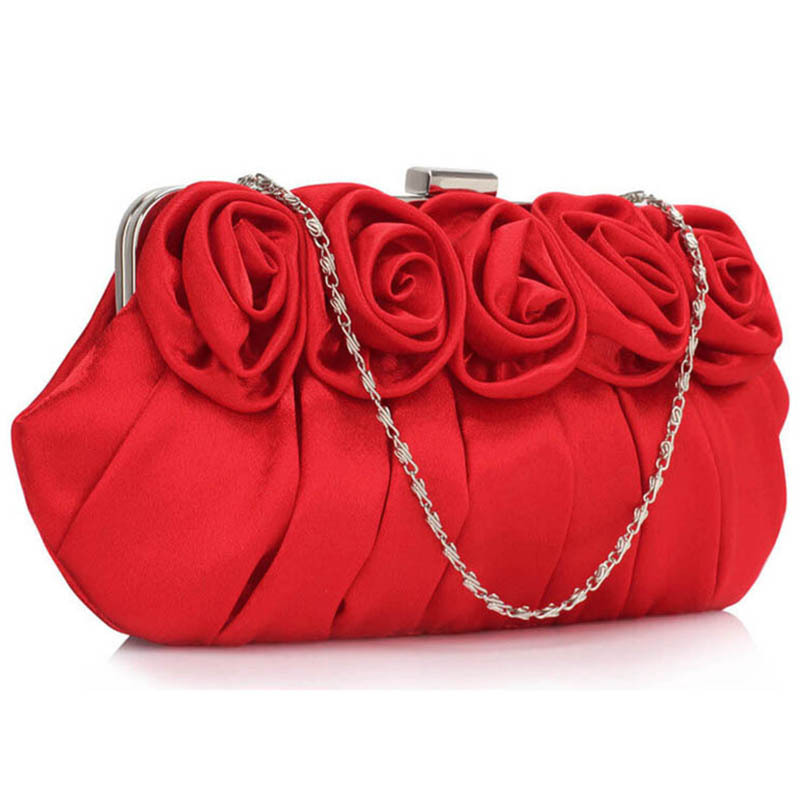 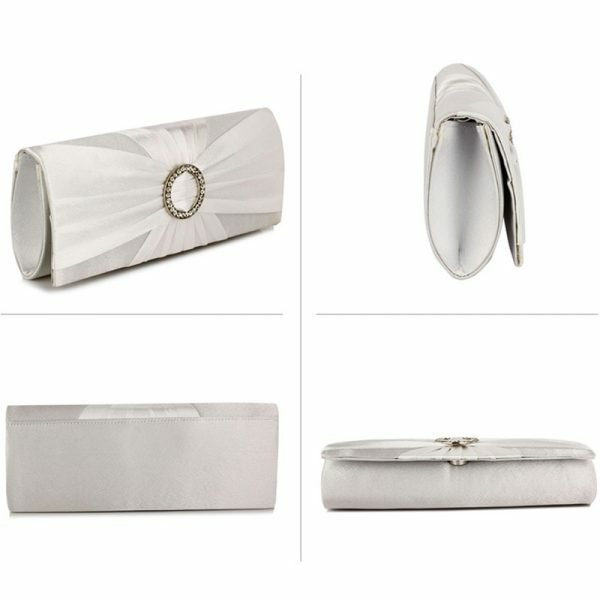 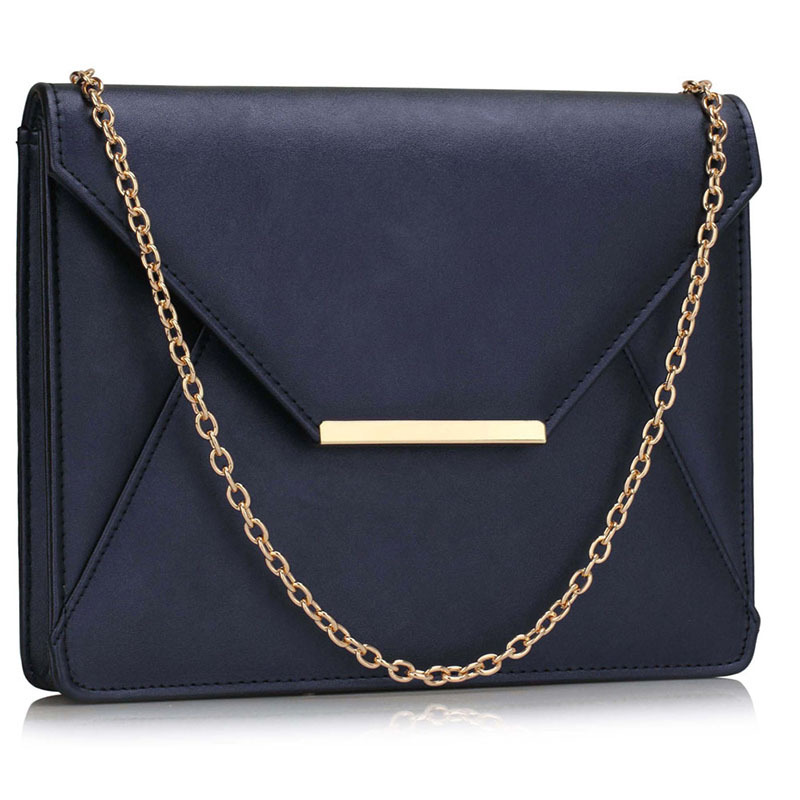 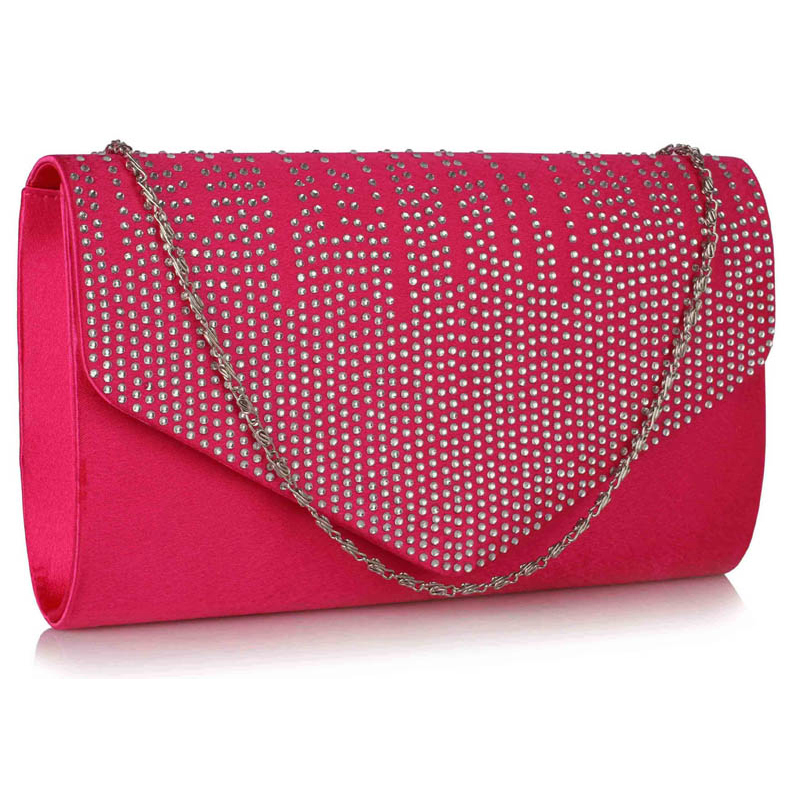 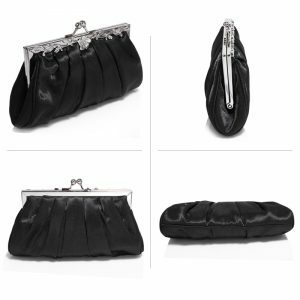 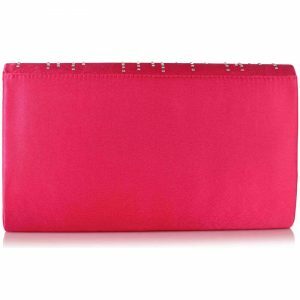 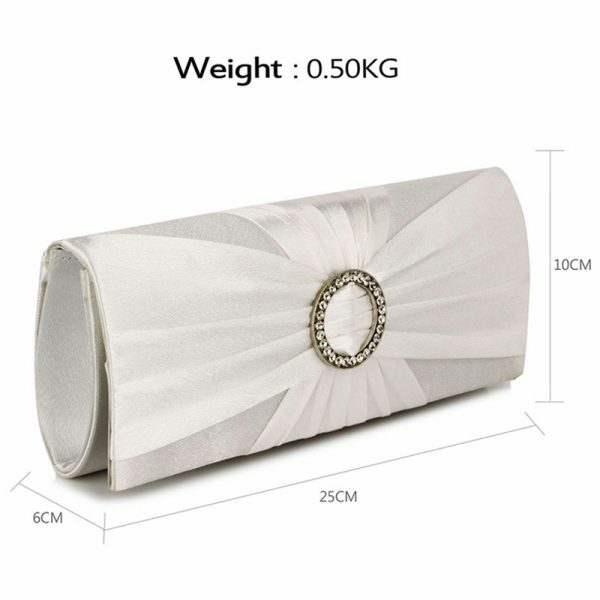 Designed with an embellished metal ring hugging the frilly pattern of the clutch bag. Complete your party look with this one. 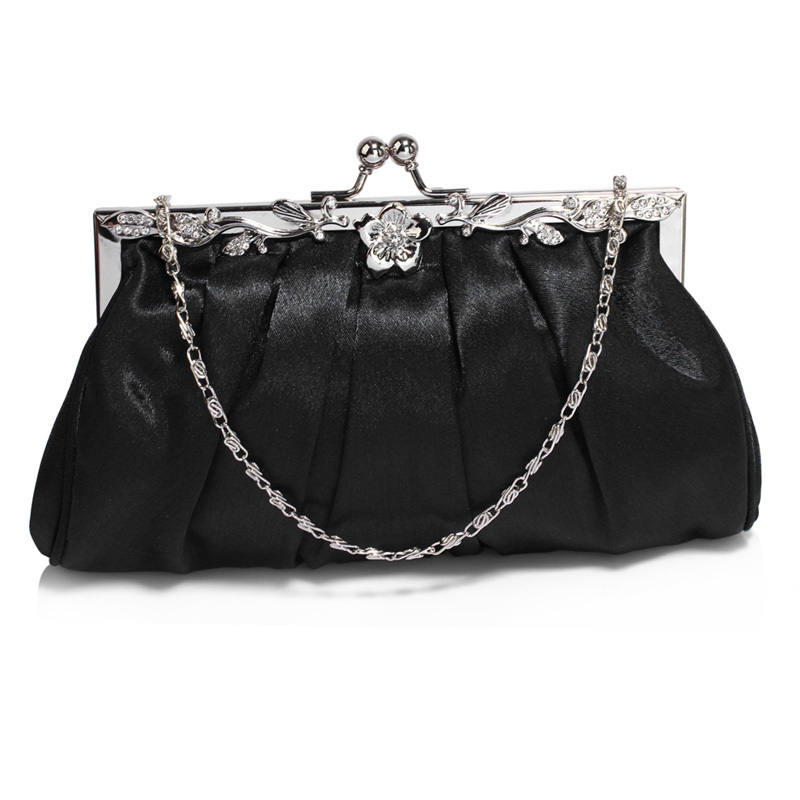 Hold it in your hand or fasten the removable chain strap that comes along for convenience. 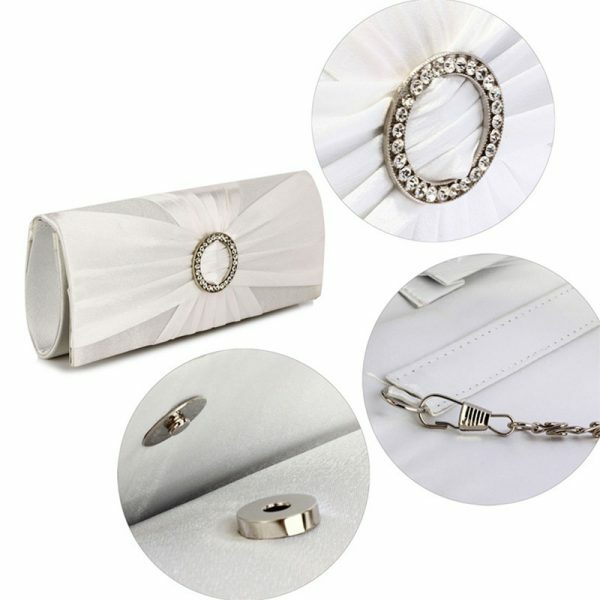 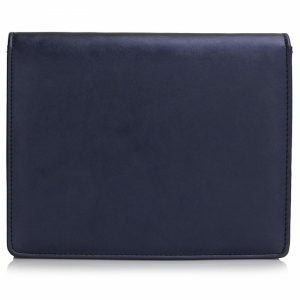 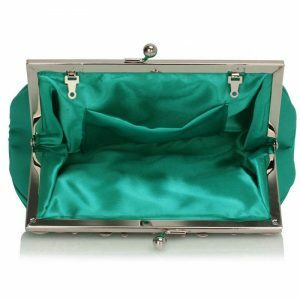 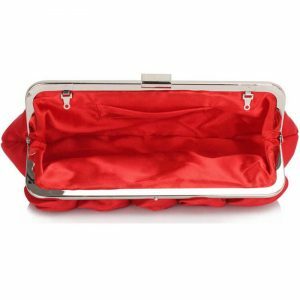 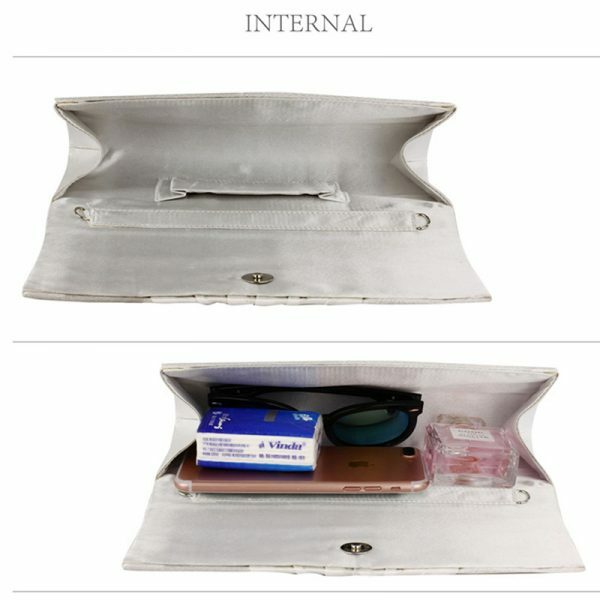 It has a metallic clasp and an interior wall pocket.